Invisalign® is a virtually invisible alternative to traditional metal braces for teens and adults to help create the smile that you envision. Our experienced orthodontist typically recommends Invisalign in Dover, New Hampshire, for adults and teenagers who are interested in discreetly achieving their ideal smile. Instead of using brackets or wires, Invisalign® uses a series of custom-fit, removable, clear aligners to straighten your teeth. The aligners are fabricated by using an advanced 3-D computer imaging technology to help create your complete treatment plan, from the initial position of your teeth to the final desired position. Then, a series of clear aligners are custom-made for your teeth, and your teeth only, to move them little by little with gentle pressure. Each aligner is worn for one to two weeks before being replaced by the next set of aligners in the series until the final position of your teeth is achieved. 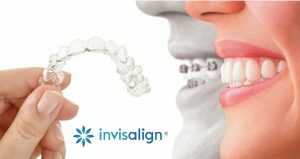 Invisalign® treatment has been clinically proven to be effective for a broad range of teeth straightening cases, from mild to complex. Your Invisalign® treatment time will be determined by Dr. Nyberg based on your specific needs. Some of the common concerns Dr. Nyberg treats with Invisalign® clear aligners are: gapped teeth, crowded teeth, overbites, under bites, open bites, and cross bites. Invisalign® uses a series of custom-made plastic aligners that are worn snugly over your teeth. These aligners are made from 3-D digital scans taken of your teeth – without the need of messy, uncomfortable impressions of your smile. The iTero® Invisalign 3-D scanner gives us a fast, comfortable option for taking precise scans of your smile so we can create your custom Invisalign® aligners. These images allow Dr. Nyberg to move specific teeth on the screen, view the jaw from different angles, and also foresee what your smile will look like at the completion of treatment. Each aligner shifts your teeth slightly, moving them horizontally and vertically and even rotating them when needed. Your aligners are engineered to use the right amount of force in the right place at the right time. Over a period of time, the aligners gently move your teeth to their proper positions in your smile. You will switch aligners approximately every one to two weeks to continue aligning your teeth. You will also visit Nyberg Orthodontics on a regular basis to ensure that your smile is progressing as it was created in the custom treatment plan mapped out by Dr. Nyberg. One of the best things about Invisalign® treatment is the minimal impact it has on your everyday life. Most people will not even notice you are wearing your aligners! Because Invisalign® aligner trays are made of transparent, smooth plastic, they are nearly invisible as well as comfortable. They are also removable, meaning that they can be taken out while eating, drinking, brushing and flossing to help you maintain good oral hygiene during orthodontic treatment, and not restricting your diet. Since the aligners are so comfortable, you should be able to wear them for the recommended 20 to 22 hours a day without much effort, but they can be temporarily removed for important occasions. Once your Invisalign® treatment is complete, you will be given a set of retainers to maintain your smile. The Invisalign® system provides the same beautiful results as traditional braces, but they are virtually invisible. The cost of Invisalign® varies according to the complexity of the case, and is the same cost as traditional braces. Insurance policies generally cover Invisalign® to the same extent that they cover traditional braces.Dr. Nyberg also offers Invisalign Teen®, created specifically for teenagers’ needs. For more information, we invite you to contact our office today. Nyberg Orthodontics has a reputation of providing their patients with high-quality Invisalign treatments and straighter, healthier smiles. 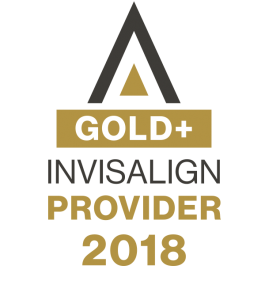 This reputation has earned Dr. Lynnette Nyberg the distinction of Gold Plus Invisalign Provider for Dover, NH and surrounding communities. What does this mean for you? As a patient, this distinction means you can be assured that your Invisalign orthodontic treatment will be expertly applied in order to give you the smile you have always wanted.